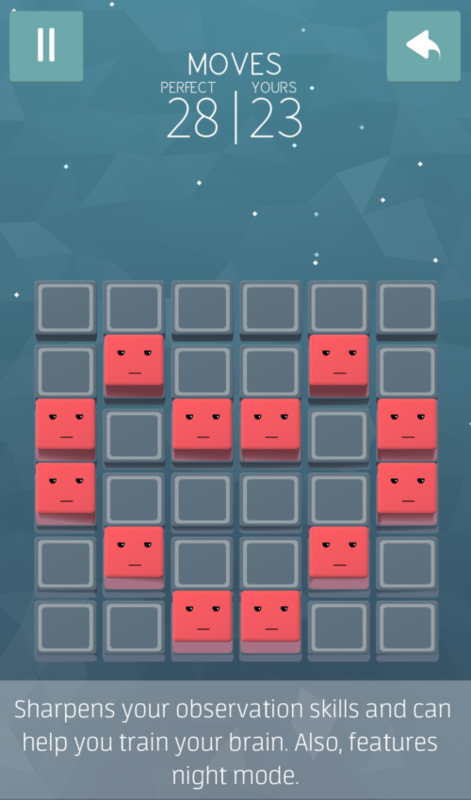 Are you tired of endless match three games? Well, here is something intelligible and different. 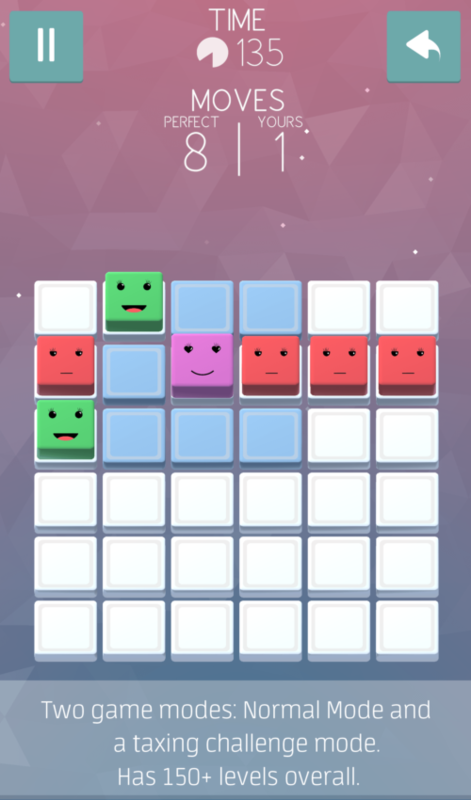 Phase Spur is a casual puzzle game with cute little creatures. When they are happy, their spirit and cuteness endear everyone, so much so, it’s easy to get carried away by their cuteness. However, when they are disturbed, they can be quite annoying. So, here’s a thing, MAKE THEM HAPPY! The task is, arrange no more than two creatures in a line. As they are adamant in nature, no three creatures (not more than two) can exist along a line (vertical, diagonal and horizontal) from their point of view. 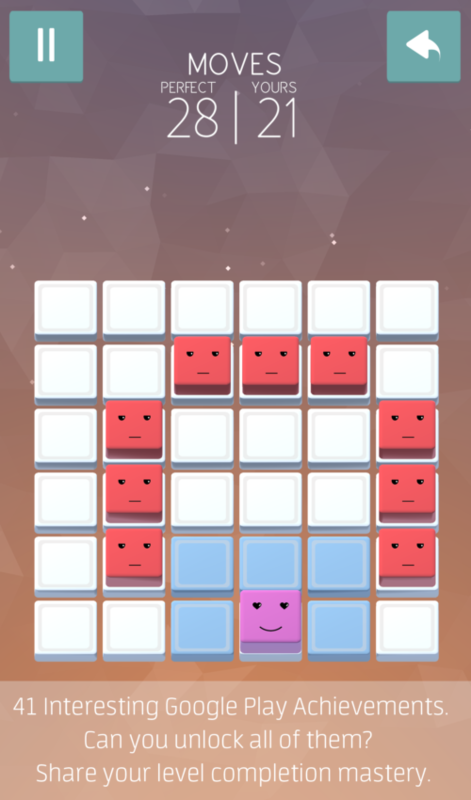 The game is made for both casual gamers and serious puzzle lovers. Solving a level requires careful analysis and observation. 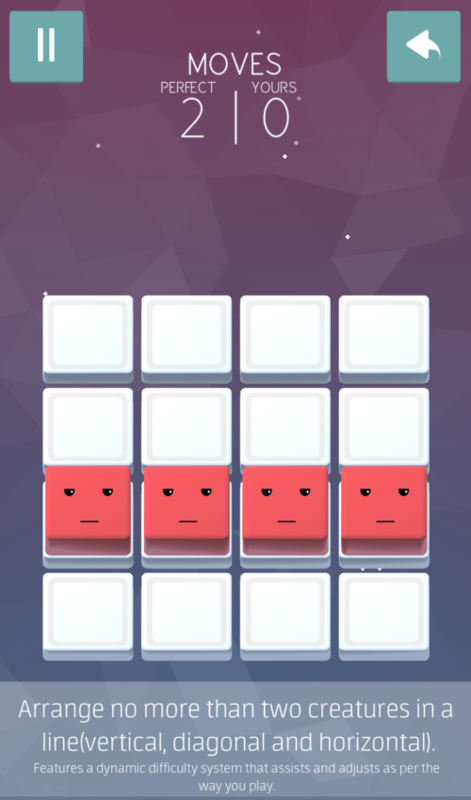 Improvisation works very rarely in this puzzler. 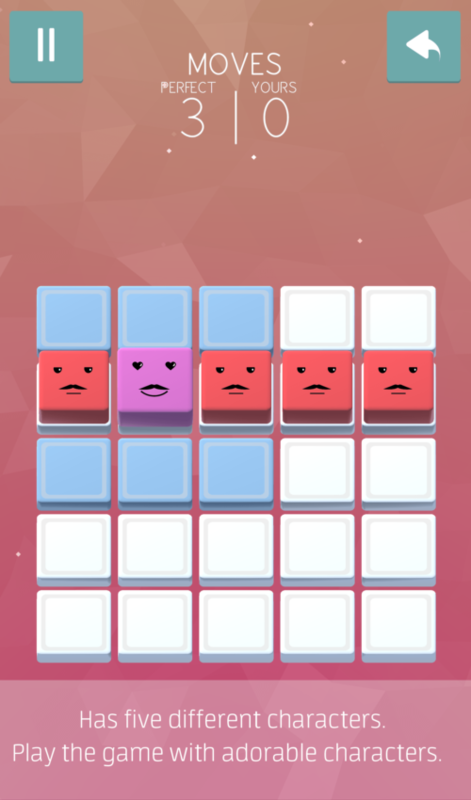 So, embark on a stylized visual journey by solving puzzles and make these cute little creatures smile again. More information on Phase Spur and relevant media are available here. Has 78 Levels each in Normal Mode and Challenge Mode. 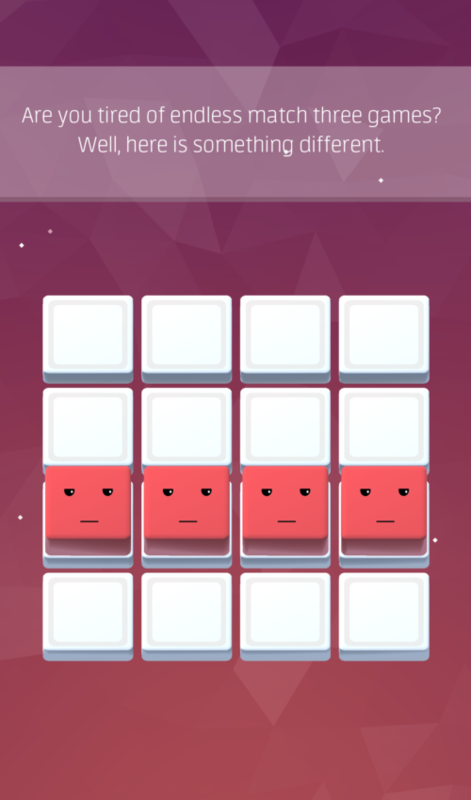 Overall there are 156 levels to test and challenge your brain. Can you solve all the puzzles? 41 Interesting Google Play/Game Center Achievements. Can you unlock all of them? Dynamic difficulty system that assists and adjusts as per your play that provides an excellent replay value. Are you ready to face the challenge? Phase Spur is localized in French, Spanish, Italian, Portuguese, Portuguese and German. 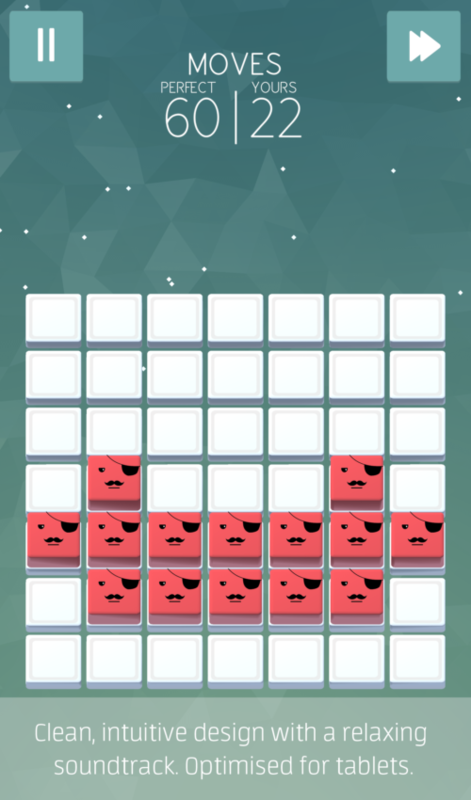 – Made the challenge mode more challenging! Phase Spur is developed and published by Vishtek Studios LLP, a registered, incorporated, self-funded, bootstrapped company with two designated partners. 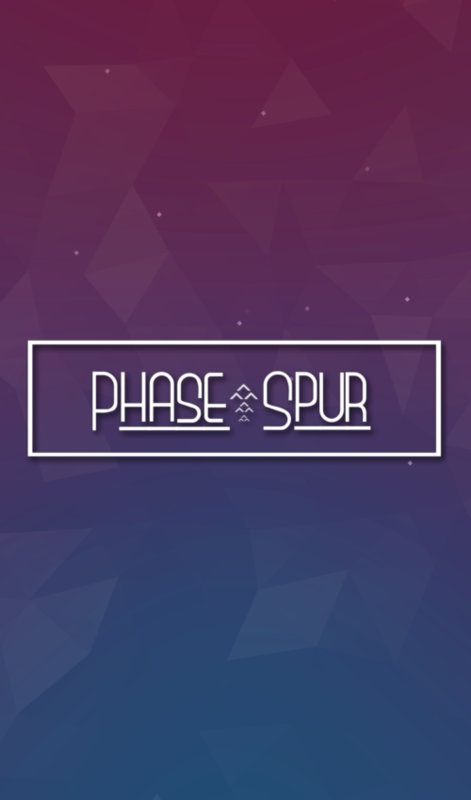 Enjoy and have fun playing Phase Spur. The game is inspired by ‘the no three in a line problem’ introduced by Henry Earnest Dudeney(1917). Remember, your best decisions could be spur of the moment in this journey. © 2019. Phase Spur is developed and published by Vishtek Studios LLP. ‘Phase Spur’ and associated elements are owned by Vishtek Studios LLP. Vishtek Studios LLP is a registered, bootstrapped, self funded and incorporated LLP. All rights reserved.